-- To fellow Surigaonons, he was fondly called "Dos Por Dos". To his family and friends, he was "Ynot". While to his colleagues and "compadres" in and outside of politics, he was simply known as Tony. Tony Consing lived half of his life as a media practitioner. It was in early 70's when he started his career as a radio commentator over a KBS (Kanlaon Broadcasting System) radio station in Manila. 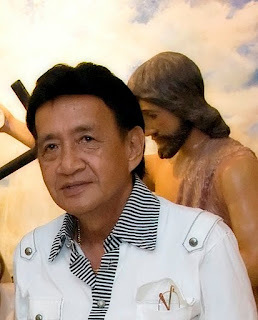 He later moved to Mindanao and served in a RMN (Radio Mindanao Network) radio station. Tony has been a brave, candid but straight to the point critic of controversial public issues on air. Sensible and witty, he unnoticeably created a name and a character of his own. From radio broadcasting, he eventually ventured into print journalism. As a conventional journalist, he would not mind using an ordinary pen and a scratch paper. He would grab his eyeglasses and would start writing continuously as if there was no tomorrow to follow. He had been occasionally contributing articles in Manila Bulletin in the 80's and 90's. Aside from issues pertaining to people and politics, he was also interested in anything and everything which had relevance in Mindanao. His writings and radio programs eventually gained prominence in public which caused him to travel a lot to get a first-hand account on critical issues. He eventually became president of the Independent Media Practitioners in Caraga-13 (IMPACT-13). But not all fairy tales have happy endings. He and his very big family later found out he was battling with the dreaded disease known as cancer. But Tony was a born fighter and took it with a positive attitude by battling his illness silently while at the same time keeping himself busy through writing for his weekly columns in Agusan-Surigao Enquirer and Super Banat tabloids. Worthy to note, even he was cancer-stricken, he fought for his life for eleven months while doubling as a journalist. It was his passion for writing which obviously gave him the will to survive. 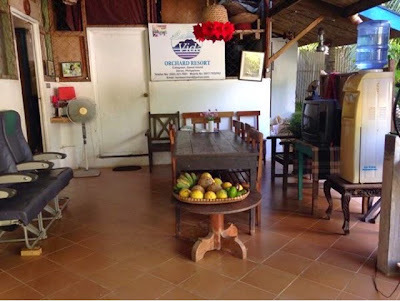 Writing and broadcasting were the love of his life that even on the third and fourth cycles of his chemotherapy treatment he would still travel from Manila to Surigao City just to be able to be on board his radio program and wrote articles for the local tabloids. He literally struggled, painfully battled and eventually passed out due to cancer. But the killer disease failed to take him away from the memory of the public. For we know that thirty years of serving the people through the print and broadcast media was a lasting legacy which would keep his name alive in the memory of Surigaonons. Physically, he may have left his dedication to media service on January 5, 2010 due to his untimely death, however, his media work served a source of inspiration to many others. He had been oftentimes criticized and opposed, but it only inspired him to become more reasonable and fair to his critics. Indeed, he was a brave fine man with a big heart - high and firm in principles. He offered an arm to media service and noticeably left a legacy. He was an example that touched and inspired many including myself.